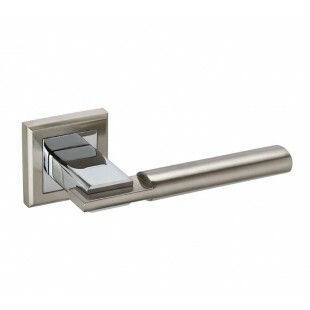 Square rose door handles are an affordable pair of chrome door handles that are both fashionably elegant and great quality. 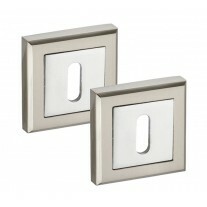 Looking particularly good when fitted to square panel doors or in rooms with square panel wall décor the square rose door handles feature both polished and brushed chrome finishes giving you the modern and attractive appearance of mixed polished and brushed chrome door handles in one. 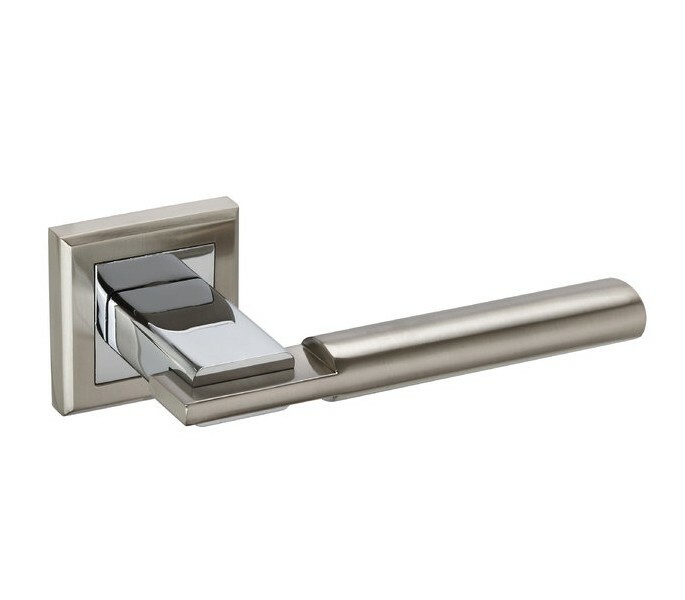 Competing extremely well with even the most expensive designer door handles buy chrome door handles on square rose today at the cheapest prices in the UK. 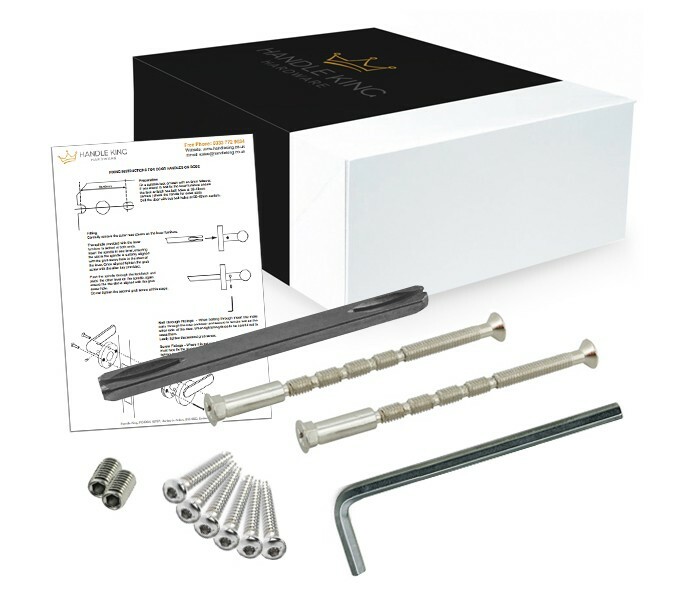 1 set of the square rose chrome door handles includes 2 handles, one for each side of the door along with fixings and microtight spindle. 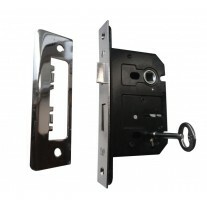 If purchasing for a new door you will also need a latch or lock and hinges all of which can be purchased separately or from our selection of door handle packs. The fashionably elegant and great quality square rose door handles make a great choice of mixed polished and brushed chrome door handles. 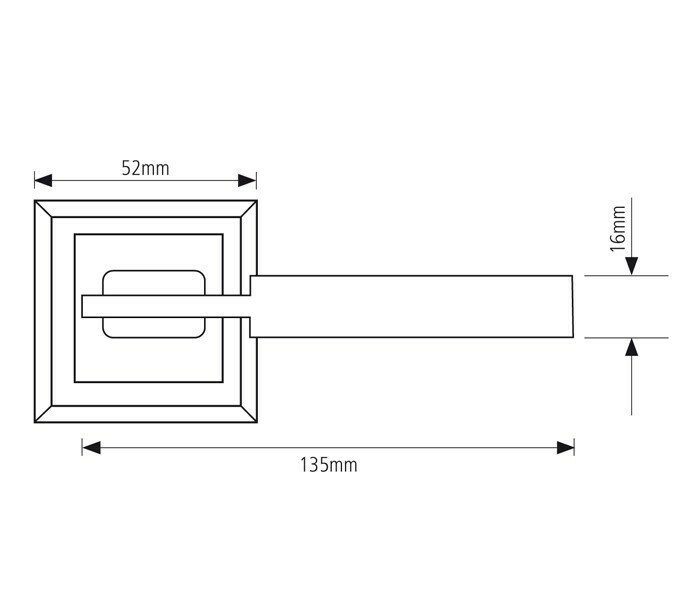 Overall handle length 135mm and removable square clip-on rose 10mm x 52mm x 52mm to conceal fixings for a much tidier look. 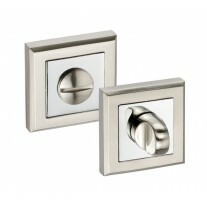 Just select how many sets of the square rose chrome door handles you need and add to cart.